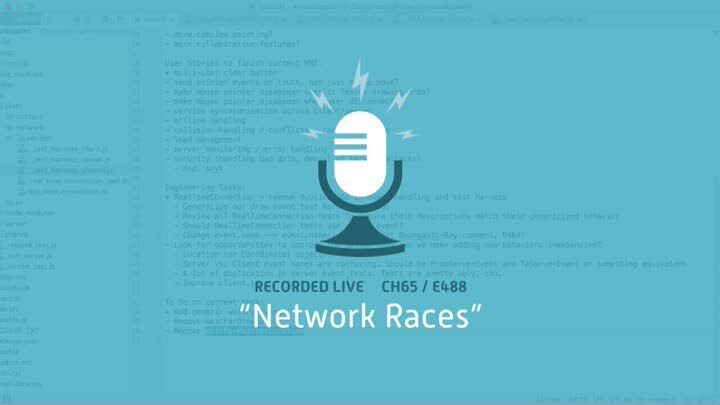 As we continue improving our network test harness, we run smack into network race conditions. There’s no guarantees about when network events will be delivered, or any way to tell if an event’s been delivered at all without asking the network again. Our waitForDrawEvent() method addresses this, but it’s surprisingly difficult to genericize.